This is pain in the front of the knee and often results from damage to the Knee cap or the groove where the knee cap moves when the knee bends. It can be minor damage causing occasional pain or increased pain with more damage. Pain typically occurs with kneeling, squatting, stair climbing, driving and getting up from a chair. This can occurs in all age groups and when the knee cap/groove lining is worn out, it is called Patello-femoral joint osteoarthritis. Pain can also occur from the Knee cap maltracking, malalignment and many other rarer causes. Most patients improve with physiotherapy, proper exercises and education. Arthroscopy, rarely lateral release and other forms of surgery (Fulkerson procedure) can help if conservative measures fail. 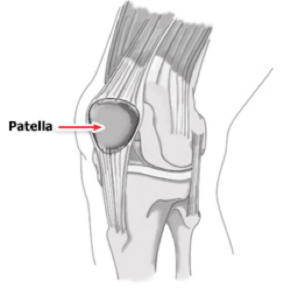 If the pain becomes unbearable then the damaged patellar surface may need to be relined with a plastic button and the groove relined by smooth metal (Patello-femoral joint replacement).